Sector 7 and Other Merz is a catalogue of my current exhibition at the Blank Space gallery in Oslo. It is also a catalogue of drawings and digital paintings originally posted here at LIMBOLO. "MERZ had no meaning when I formed the word. Now it has the meaning that I have attached to it. The meaning of the concept merz changes as the understanding of the person who continues to work with it changes. 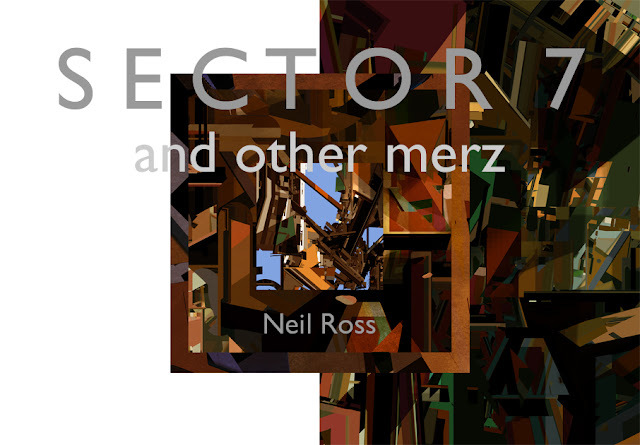 Merz wants freedom from all fetters in order to shape things artistically. Freedom is not unrestraint, but rather the result of strict artistic discipline. 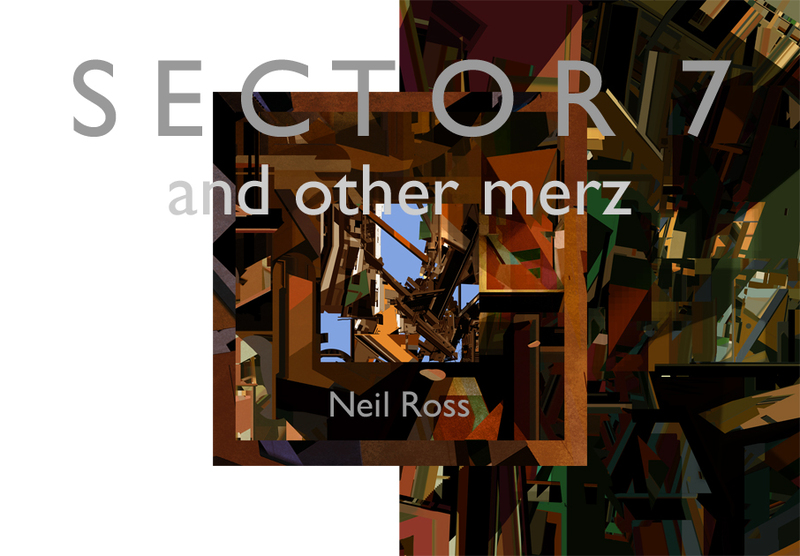 Merz also means tolerance toward any kind of limitation for artistic reasons. Every artist must be permitted to compose a picture, even if it is just made out of blotting paper, provided that he or she knows how to create". "When I make a word do a lot of work like that, I always pay it extra." 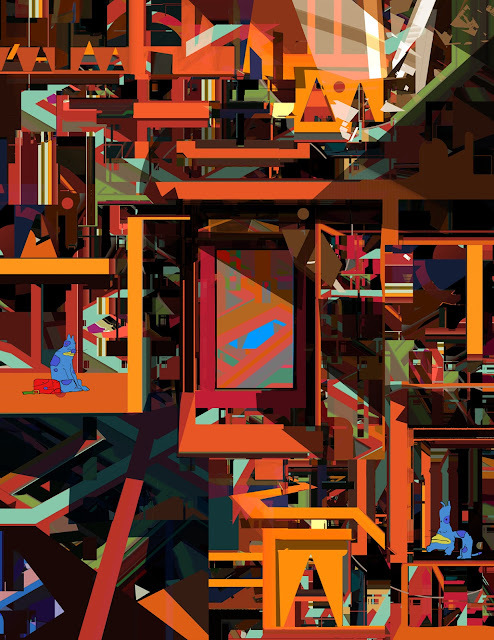 "Sector 7 is a city of hiding places. It grows according to its own rules. Human life is in the city but is no longer its administrator. Merz is present on every block. Theories gestate in the shadows. Cults crystalize like honeycombs." Here's the cover...And some pages from the book. The Return of Walker and Williams.